Forest ecosystems are characterized by a steady change in their structure of function. Natural developments are more and more radically disturbed by human impact. Air pollution leads to soil acidification, change in nutrient budget and to a decreasing vitality of the trees. Forest management can prevent natural succession and often leads to less stable forests. In this book, selected results of 10 years of interdisciplinary ecosystem research are presented. Not only growth and physiological reactions on environmental stress, but also natural succession processes are described and analysed. 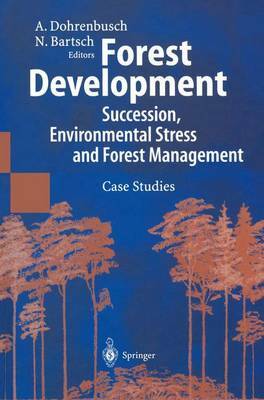 Besides the description of forest development processes, based on longterm experiments and observation, conclusions for practical forest management are given.